Dare to Dream was one of my stand out books when it appeared, and its sequel, Dream On is right up there with it. Sequels aren’t necessarily easy things to write. Often authors have used up their best plotlines; any dramatic tension was resolved in the previous book, and you can’t help but be aware of the author scrabbling round frantically trying to find something else with which to engage the reader. None of that applies to Dream On. At the end of the previous book, Marley’s beloved horse, Cruise, had to be sold to enable the girls and their stable to survive. The New Zealand horse world is a relatively small one, and so there’s no way in Dream On that Marley can escape Cruise. It’s not that his new owner, Bubbles, is a monster either, because she isn’t. She understands just how bad Marley feels. The worst thing for Marley is that it’s obvious Cruise still misses her. He’s not jumping to the best of his ability, but in an act of real love, she advises his new owner what to do to get Cruise on side, and it works. Marley does have other things to think about. Van’s boyfriend Mike has a difficult stepbrother, Jake, who’s been landed on him. Marley and Jake have one of those uneasy and edgy relationships, and it’s this, and Marley’s reaction to it which give this book much of its passion and poignancy. Marley is, of course, still riding, and has a new problem horse to contend with in the shape of the vicious and violent mare, Borderline Majestic. Majestic is an all too believable picture of a talented horse who has been backed into a behavioural corner by the “show them who’s boss” school. Kate Lattey’s horses are as excellent as her humans, and I love the way she portrays them as more than winning machines, or the recipients of girlish dreams. There’s plenty happening with Marley’s sisters too, both of whom are facing life-changing decisions. But it’s a measure of this author’s talents that one of the stand out characters in the book for me is the bad girl of the last book, Susannah. She’s still on the horse show circuit, but her appearances at shows must be torture, with a hissing swarm of hostility greeting her every move. Everyone knows what her brother did to Marley so that Susannah would win, and no one, with the rather wary exception of Marley, is prepared to give Susannah any quarter. But Kate Lattey makes Susannah brave; not bolshy, or defensive, or a victim. She carries on turning up, even though she knows how awful it will be. Real bravery, something which isn’t raw physical courage, is a tremendously difficult thing to portray without making your character an unrealistic saint, or a wretched victim, but Kate Lattey does it effortlessly with Susanna. I do like the way this author doesn’t take the easy way out with her characters: there’s none of the traditional stereotypical figures so common in pony books. 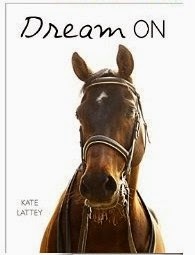 Kate Lattey has produced another tremendous, character-driven book, with every bit of authentic horsey detail you could wish for. I defy you not to cry at the end. If you haven’t already gone and loaded this on to your Kindle go and do it now. You won’t regret it. Available in paperback format only in NZ/AUS directly from the author.